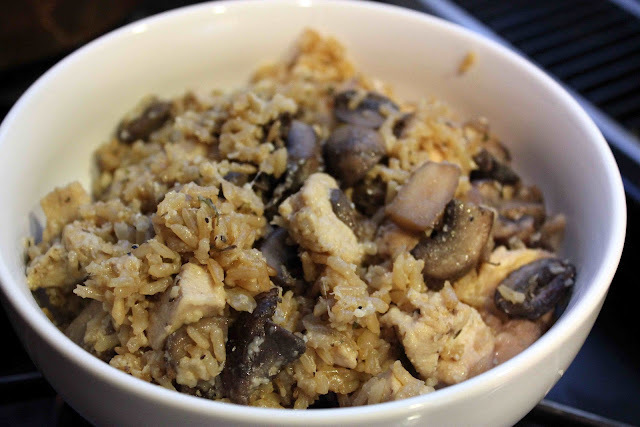 Looking for a one-pot-meal? 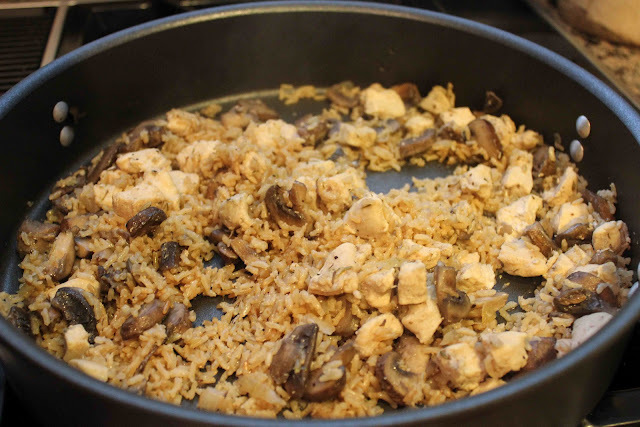 In this dish, rice and broth are added to sauteed chicken, onion, garlic and mushrooms for a simple entree using only one pan. Although I would not classify this meal as “Italian”, the Parmesan cheese really gives this dish a complexity of savory flavors. 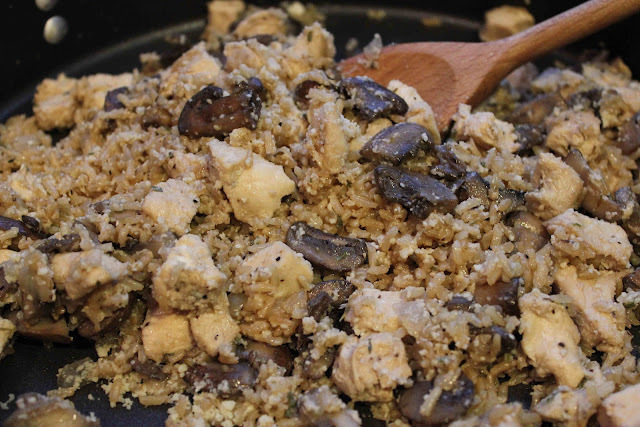 Plus, the dish is pretty healthy since it’s under 400 calories and less than 10 grams of fat. Saute onions, garlic, thyme and mushrooms in skillet over medium-high heat for 5 minutes. 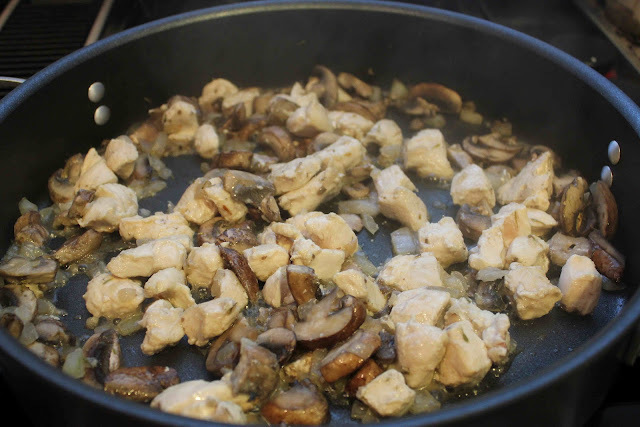 Add chicken and saute for 4 minutes or until lightly browned. Add wine, salt and pepper. 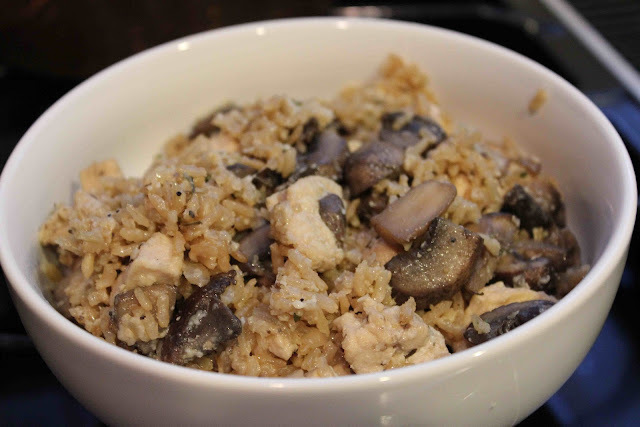 Stir in rice and broth. Bring to a boil and simmer 5 minutes. 1. Heat oil in a large nonstick skillet over medium-heat. 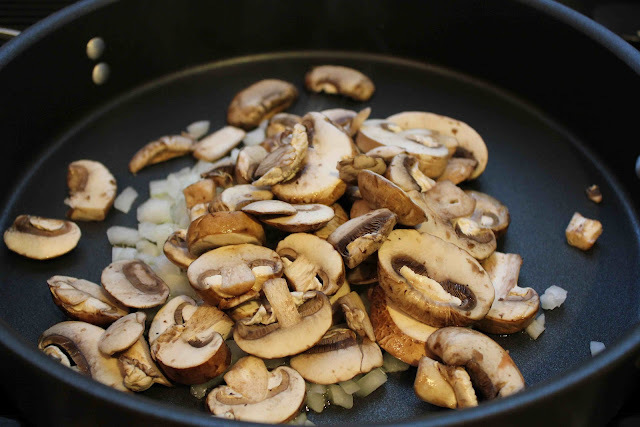 Add the onion, garlic, thyme, and mushrooms; saute 5 minutes or until onion is tender. 2. Add chicken; cook 3 minutes or until liquid almost evaporates. 3. Stir in rice and broth. Bring to a boil; cover, reduce heat, and simmer 5 minutes or until liquid is absorbed. Stir in cheese and parsley. One Response to "Parmesan Chicken and Rice"